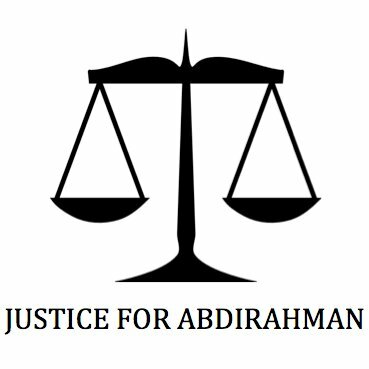 (Ottawa, July 12, 2017) The Justice for Abdirahman Coalition is expressing disappointment concerning the additional two-year delay in the trial of Constable Daniel Montsion, the Police officer charged in the 2016 death of Abdirahman Abdi. The trial date set for February 2019 follows two previous delays in the case. Wednesday’s announcement by the Ontario Court of Justice to set aside a 12 week period beginning in February 2019 to May 2019 for the trial came as an incredible shock to the Abdi family, the Coalition and all those watching the case closely. While it is not unusual to have some level of delays in a case, the Coalition is deeply concerned about this excessive delay in our justice system. For a case of this magnitude involving a public servant, which has attracted enormous public interest, and centred on the violent loss of a life, it is unacceptable for there to be such a long delay in justice, especially in a country like Canada. For a society that values the fair administration of justice and the rule of law, what does it say about us when cases like this are not able to be heard in a timely manner? This month will mark the one year anniversary of Abdirahman’s death. The Abdi family has been extraordinarily patient. A delay of this length only adds insult to injury. Due process in a timely manner is all they ask. The Coalition has been at the forefront in the calls for transparency, accountability, and justice in this case. We are calling for necessary steps to be taken to address the systemic issues in the justice system that undermine our civil liberties and rights to timely trials. Communities across the province have been traumatized by Abdirahman’s death. Many are watching the case closely and hoping for restored faith in our justice system. This can only happen if justice is not delayed for both victims and accused alike. As the 2016 Supreme Court of Canada judgment held in R. vs Jordan, “after‑the‑fact rationalization of delay does not encourage participants in the justice system to take preventative measures to address inefficient practices and resourcing problems.” Our justice system can and must do better.